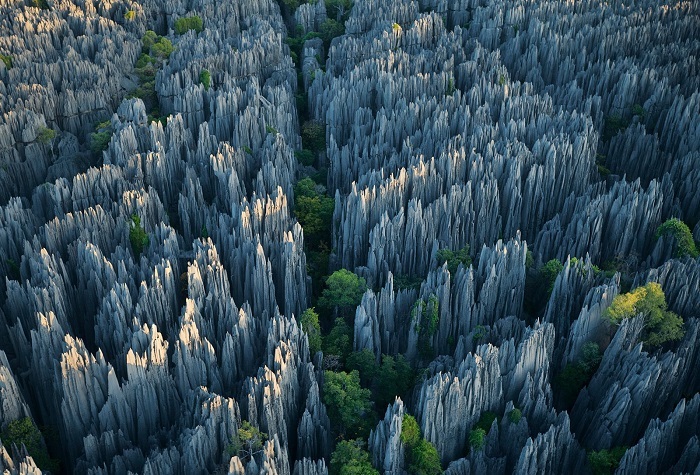 Shilin or the Stone Forest in the Yunnan Province in China is a series of limestone rock formations that give the impression of a forest made of stone. Dated at around 270 million years old, the stones cover a total area of over 300 square kilometers. You can walk in amongst the stones, and the area includes lakes, waterfalls, and caves to explore.